SAN ANTONIO – Kawhi Leonard plans on returning “soon” from a leg injury, after missing all but nine games so far this season. Leonard held an impromptu, four-minute press conference Wednesday following Spurs practice. He won’t travel with the team on their upcoming three-game road trip to Golden State, Oklahoma City and Houston. But the 26-year-old Leonard says his return is imminent. The Spurs have struggled without their star forward. Other teammates with various injuries have included Tony Parker, LaMarcus Aldridge, Rudy Gay, Danny Green and Kyle Anderson. San Antonio has lost seven of its last 10 games, falling from third to fifth in the Western Conference. Leonard watched as the Spurs blew a 15-point lead to New Orleans on Feb. 28 and a 17-point lead to the Los Angeles Lakers on March 3. San Antonio never trailed until the final two minutes of each home game. The two-time Defensive Player of the Year played in nine games after missing the season’s first 27 games, but returned to the sideline after playing against Denver on Jan. 13. 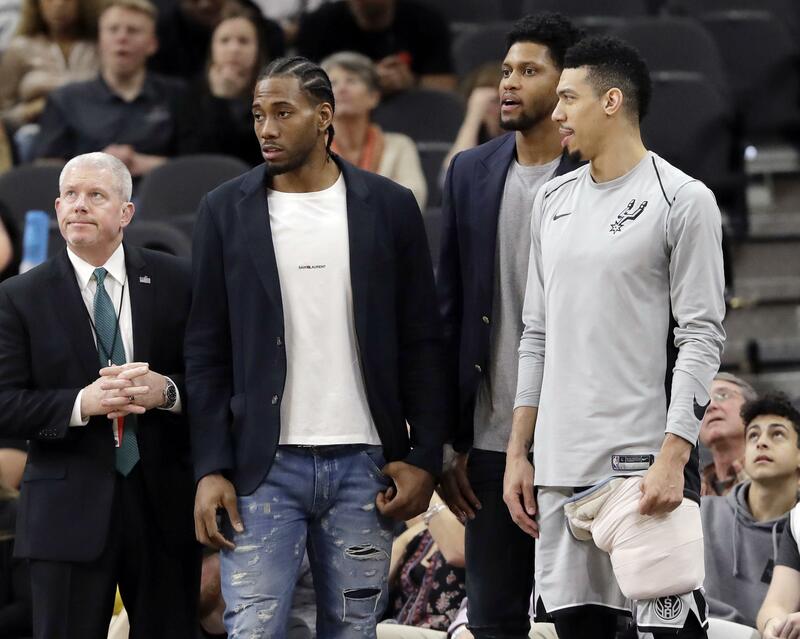 Team officials said Leonard was suffering pain and discomfort in the right quadriceps the morning after playing the Nuggets, leading them to sideline him indefinitely. Published: March 7, 2018, 12:45 p.m.